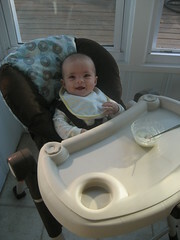 Mom and Dad finally bought me a high chair! 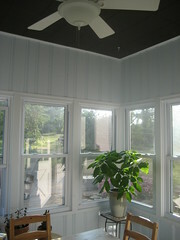 Mom likes it because it was rated well by Consumer Reports and it matches the sunroom. This entry was written by kara, posted on September 29, 2008 at 8:55 pm, filed under Uncategorized. Bookmark the permalink. Follow any comments here with the RSS feed for this post. Post a comment or leave a trackback: Trackback URL.